Thanks to your feedback, Swimia has become in just several months one probably the most essential web sites of swimming pools. 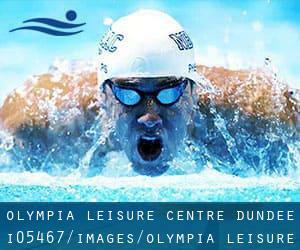 Here you have got all of the info we know about Olympia Leisure Centre - Dundee, in Dundee. Do you know the opening hours? Are they providing any course? What is the value for a single swim? Don't forget you can also promote this pool so Olympia Leisure Centre - Dundee will appear the first of Dundee, or even the very first of your country, make contact with us to know extra. St. Mary´s Lane , Lochee , Dundee , Scotland , UNITED KINGDOM (Postal Code: DD2 3AQ). Among all of the activities supplied by the centre, in case you are considering swimming you can expect to delight in 20 yards x 30 feet, Indoors. Just in case you want to get in touch with this Swimming Pool just before dropping by, we only know the phone number. Ethiebeaton Park , Monifieth , Dundee , Scotland , UNITED KINGDOM (Postal Code: DD5 4HB). Swimmers like you reported 25 meters x 12.5 meters, Indoors. Unfortunately we do not have the e-mail address of this Swimming Pool, but we can provide you with the phone number. Gillburn Road , Dundee , Scotland , UNITED KINGDOM (Postal Code: DD3 OEH). This sports centre provides 25 meters, 6 lanes, Indoors. For this Swimming Pool, only phone number is number here. Gardyne Road , Craigie / West Ferry , Dundee , Scotland , UNITED KINGDOM (Postal Code: DD5 1NY). This sports centre offers 25 meters, 4 lanes, Indoors. For this Pool, only phone number is number here. Old Hawkhill , Dundee University Main Campus , Dundee , Scotland , UNITED KINGDOM (Postal Code: DD1 4HB). This sports centre provides 25 meters, 4 lanes, Indoors. For this Swimming Pool, only phone number is number here. Gallagher Retail Park , East Dock Street , Dundee , Scotland , UNITED KINGDOM (Postal Code: DD1 3JS). Swimmers like you reported 20 meters x 9 meters, Indoors. Unfortunately we do not have the email address of this Swimming Pool, but we can provide you with the phone number. 24 Claypotts Road , Dundee , Scotland , UNITED KINGDOM (Postal Code: DD5 1AB). This sports centre provides 25 meters, 6 lanes, Indoors. For this Swimming Pool, only phone number is number here. The knowledge of this Pool has been verified lately by a member of their staff.